As he stood at the podium a few years ago, looking out at the eager faces of a few hundred newly minted college graduates, Mike Tomlin felt as if a kaleidoscope of butterflies was fluttering in his stomach. The Pittsburgh Steelers head coach had delivered motivational speeches to his team numerous times, including just minutes before pressure-packed Super Bowls. So you would have thought this would be old hat. But Tomlin had never given a commencement address before. He was so intent on striking just the right chord that he tweaked his speech at least 50 times. The crowd roared with laughter. Feeling at ease, Tomlin then drew comparisons between commencement speeches and pre-game speeches. He finished by urging the grads “to continue to dream the wild dreams you dreamt when you were young.” The cap-and-gown-clad students gave Tomlin a standing ovation. National Public Radio ranked his 16-minute talk one of the 300 best commencement speeches of all-time. Pretty impressive, considering the list includes orations by Winston Churchill, John F. Kennedy, Ronald Reagan, Martin Luther King Jr., J.K. Rowling and Oprah Winfrey. Sports personalities have long been asked to impart words of wisdom to the future leaders of America. 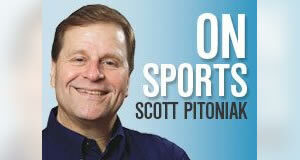 Some speakers, like famed participatory sports author George Plimpton, have been humorously blunt. While weaving a strong tale about taking risks – even at age 60 – marathon swimmer Diana Nyad had Middlebury College graduates rolling in the aisles. Bo knows what he’s talking about, defying convention by simultaneously becoming a Major League Baseball All-Star outfielder and a Pro Bowl running back. Tennis legend Billy Jean King urged students to “find a mentor and be a mentor. Give back. And when people tell you not to believe in your dreams, and they say ‘Why?’, say ‘Why not?’ ’’ Duke basketball coach Mike Krzyzewski emphasized the importance of resiliency. “There was something good about being knocked down, as long as it wasn’t your destination,’’ he told Duke’s 2016 graduates. Seattle Seahawks quarterback Russell Wilson showed members of the University of Wisconsin Class of 2016 that laughter truly can be the best elixir—especially when dealing with a glaring public failure like the Super Bowl-losing pick he had tossed a few months earlier. Wilson also discussed how his coach at North Carolina State told him he would be losing his starting quarterback job and that he had no shot of making it in the NFL. This anecdote didn’t play well in North Carolina, where it was perceived as picking the scab off an old wound. But Wilson spun the tale in a positive way, reminding students not to lose faith in themselves when others give up on them. He eventually transferred to Wisconsin and set some records while leading the Badgers to a bowl game. That resulted in Wilson being drafted by Seattle and eventually winning a Super Bowl. It all worked out well, he said, except, of course, for that darn interception against the Patriots. Great article Scott. I wish I could have received some of this wisdom when I graduated from RIT in ’61. Unfortunately, I’m one of those graduates who can’t recall who was the speaker much less what was said. Well done Scott. Thanks, Frank. I remember the speakers from my Syracuse commencement in 1977 – Hugh Carey and NYU President John Sawyer – but I don’t remember their messages either.